Established in 1972 as the second specialist independent photography gallery in Europe, Impressions has grown to become one of the UK’s leading venues for photography, showing significant work by regional, national and international artists. 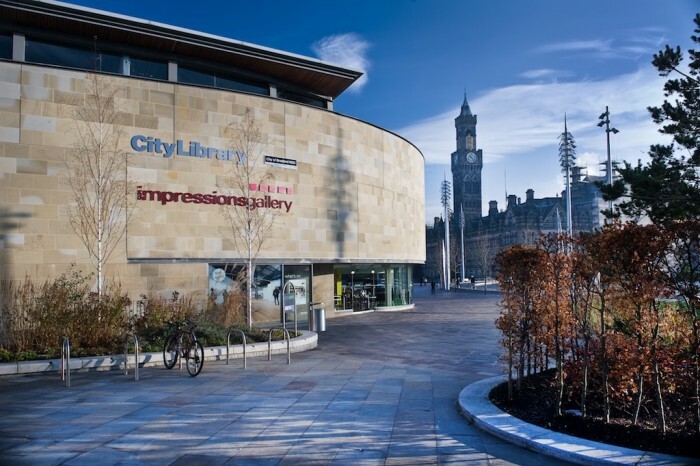 Situated in the heart of Bradford and overlooking the multi‐award winning City Park, the gallery presents an inspiring programme of free exhibitions and a rich mix of events and creative workshops. There’s always something new to see and do to get people looking, thinking and talking about the best in contemporary photography. Centenary Square is two miles from the motorway network. From the M62, take junction 26, joining the M606, which will bring you to Bradford. Then follow directions to the city centre where brown heritage signs will direct you to City Hall.